INGLEWOOD, CA, August 1, 2011 (Business Wire) -- Empower RF Systems, a leading manufacturer of solid state power amplifiers and amplifier based solutions has launched a web linked and inventory backed program with Richardson RFPD to offer faster availability on a specific selection of standard, building block products in our most requested frequency bands and power levels. 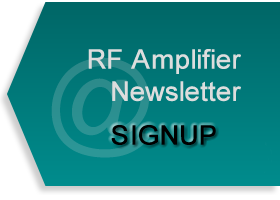 The teamed approach between Empower and Richardson RFPD offers RF designers an attractive array of power amplifier solutions on a "quick turn" basis to support lab test requirements, prototype developments, and assurance of supply on COTS products. Visit Empower's website www.empowerrf.com, and look for the "Buy Now" tab included with descriptions of specific products in this program. The Richardson RFPD website, www.richardsonrfpd.com, also features an Empower "storefront" and application based, interactive selection guides (Test and Measurement, Defense and Aerospace, and others) with specific listings of Empower products in inventory. Richardson RFPD, Inc., an Arrow Electronics Company, is a global leader in the RF and wireless communications, power conversion and renewable energy markets. Our relationships with the industry's top component suppliers enable Richardson RFPD to meet the total engineering needs of each customer. Whether it's designing components or engineering complete solutions, our worldwide design centers and technical sales team provide support for all aspects of our customers' go-to-market strategy, from prototype to production. More information is available online at www.richardsonrfpd.com.